Mother's Day is just less than 2 weeks away. 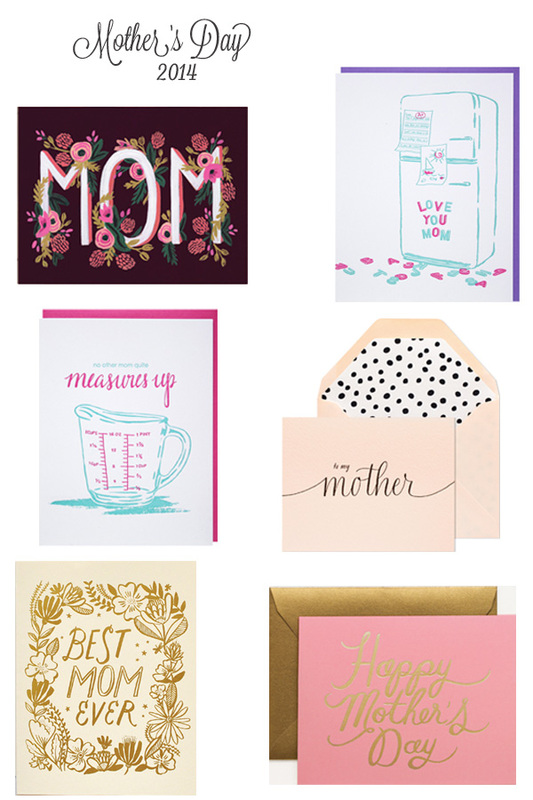 There are so many pretty cards out there that it would be a complete shame to buy a sad looking drugstore card at the last minute. I'll make it easy for you - here are the 6 prettiest of the year! Top Row: Rifle Paper Co. | smudge ink Middle Row: smudge ink (my choice this year!) | Sugar Paper via Hattan Home Bottom Row: hello! Lucky | Rifle Paper Co.